How much is Brad Paisley Worth? Brad Paisley net worth: Brad Paisley is an American country music singer-songwriter and musician who has a net worth of $95 million. In 2012 alone, his most commercially successful year to date, Brad Paisley earned $40 million before taxes. He has earned between $20 and $40 million per year ever year since. Paisley was born in Glen Dale, West Virginia in 1972. Brad Paisley received his first guitar and his love of country music from his grandfather when he was eight years old. He performed for the first time in public singing in his church and by the age of 13 had written his first song and joined his first band "Brad Paisley and the C-Notes". Brad Paisley made his debut as a singer was with the label Arista Nashville in 1999 with the song "Who Needs Pictures" In May 1999 he made his first appearance on the Grand Ole Opry. In December 1999 he had his first No. 1 hit with "He Didn't Have to Be". 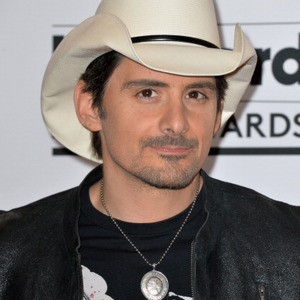 Brad Paisley was the 2008 CMA and ACM Male Vocalist of the Year winner. As of 2013, Brad Paisley has had 32 Top 10 singles on the Billboard Hot Country Songs chart with 18 of those reaching number one. Brad Paisley has a record 10 consecutive singles that have reached the top spot on the chart. 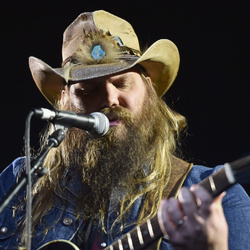 He was named the Entertainer of the Year in 2010 at the CMA Awards. Brad Paisley is married to the actress Kimberly Williams-Paisley. The couple has two sons.